Ever since she was seven, Liu Shiwen always had that Olympic dream burning in her heart. Despite difficulties, she still adhered for it. Last month, Liu Shiwen finally had her opportunity and she utilised it well. For her, being part of the victory in the Women's Team event is already an honour, after all she was able to fight for her country. “I must say that it was nerve-racking being in the Olympic arena for the first time. However, being entrusted with the mission to play as the Singles really make me happy as well,” said Liu Shiwen. 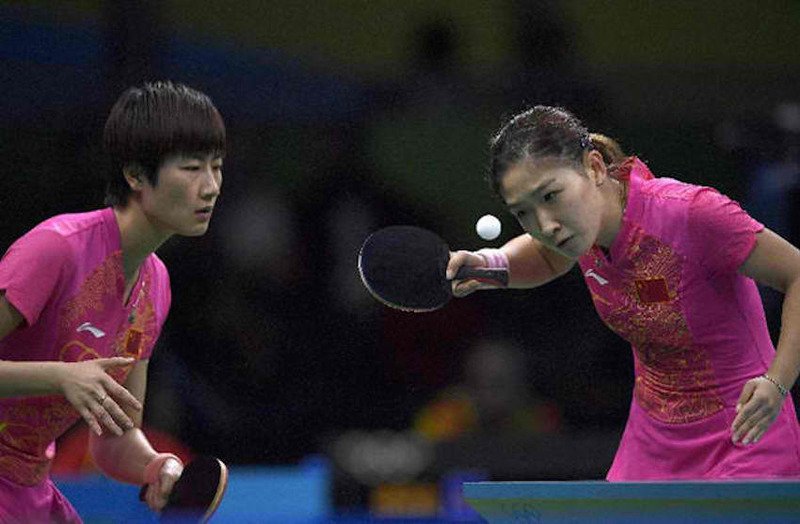 Liu Shiwen started training table tennis at the age of seven. Of course, since that time, she has experienced a variety of emotions, achievements and also failures. However, Liu Shiwen has never given up on her Olympic dream. Last August 16, such dream was realised after Liu Shiwen took part in the Olympic Women’s Team finals against Germany in Rio de Janeiro. She played in the second Singles match and in the Doubles with Ding Ning. She won both matches completing the victory of the team for the Olympic gold. “Table Tennis is our national sport, the nation’s interest is above all things. Being able to represent the country in the Olympic Games is already a kind of honour. I also finally realised my dreams,” she mentioned. Liu Shiwen then became an Olympic champion. This achievement made her the first ever female player from her hometown Guangdong to be an Olympic champion. Last September 6, Liu Shiwen took part in a series of activities in her hometown. She revealed that she will also be spending time with her family and friends. But since she is expected to be in the China Open, she can’t stop training. “Actually, the time we came back from the Rio Olympic Games is also the time that we officially entered into the Tokyo Olympic cycle. My goal is very clear and that is to continue to represent China in the 2020 Olympic Games,” concluded Liu Shiwen. As the top ranking player in the women’s division, Liu Shiwen naturally felt frustrated initially after not being selected for the Olympic Singles. But the 25-year old champion knows that it is not the end of her career. She is definitely determined to adhere to 2020.